Philadelphia Phillies right-hander Zach Eflin has four wins in four June starts. He'll attempt to stay perfect in the month as the Phillies try to avoid being swept by the New York Yankees. The teams meet Wednesday night in the finale of a three-game series at Citizens Bank Park in Philadelphia. The Phillies' bats have been quieted by the Yankees' staff in the first two games of the set. Philadelphia, now on a three-game losing streak, was shut out on Tuesday night and has just two runs on nine hits in the series. 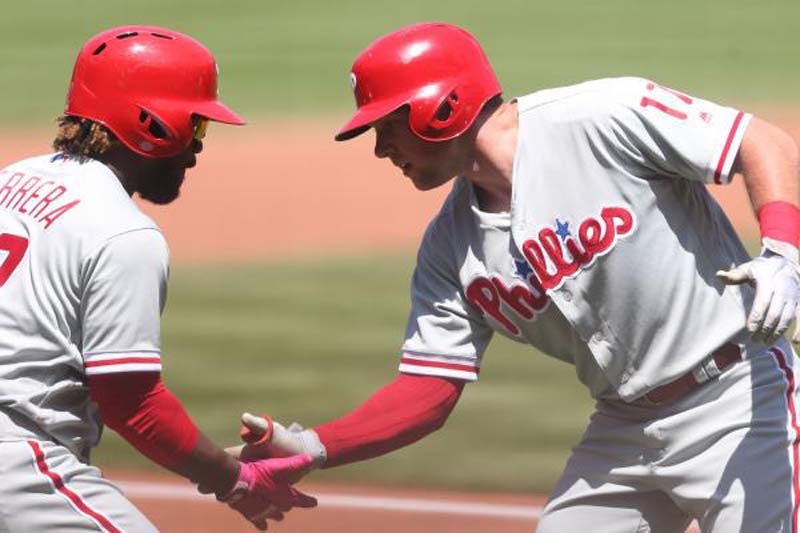 "They beat us pretty good," Phillies manager Gabe Kapler told reporters after Tuesday night's 6-0 loss. "We just have to wear it and get ready for (Wednesday)." The Yankees, meanwhile, have 10 runs on 17 hits in the pair of games against the Phillies and have bounced back with two wins after getting swept by the Tampa Bay Rays over the weekend. Eflin (5-2, 3.44 ERA) will try to cool off the Yankees, who led the majors in OPS and home runs as of Tuesday. Eflin is 4-0 in four June starts. He has a 2.28 ERA and .594 opponent OPS with 22 strikeouts and only four walks over that span (23 2/3 innings). Most recently, Eflin gave up two runs in five innings against the Washington Nationals last Friday. "Those are situations I've been working on the past couple years, being able to put guys away when I need to," Eflin, who worked around six hits in the start, told MLB.com "Being able to do that and overcome that was huge. Looking forward to continuing that and getting deeper into games." The Yankees will send Luis Cessa (0-0, 3.00) to the mound for his first start of the season. Cessa spent two months on the disabled list this season with a strained oblique, but the 26-year-old has made four appearances out of New York's bullpen. He pitched last Friday for the first time since April 17 and tossed two scoreless innings against the Rays. "We have a lot of confidence in Cessa, that is the kind of role going into the season that we envisioned him in -- the fifth, sixth starter and bullpen guy," Yankees manager Aaron Boone told the New York Post last week. "We feel he is built up enough and on line to be the best option that day." Boone noted that Cessa will be able to throw 70-80 pitches during his Wednesday start. Cessa has allowed two earned runs in six innings for the Yankees this season, and he is 2-7 with a 4.54 ERA in 14 career major league starts. He has never faced the Phillies. Cessa could get more backing from a red-hot Giancarlo Stanton. The Yankees left fielder and 2017 National League MVP has nine hits over his last three games and is 4-for-8 so far in the series. Stanton is hitting .459 with a 1.335 OPS, three homers, four doubles and nine RBIs over his last nine contests.